MY MIND MY MOUTH | Thoughts of a Calabarboy. 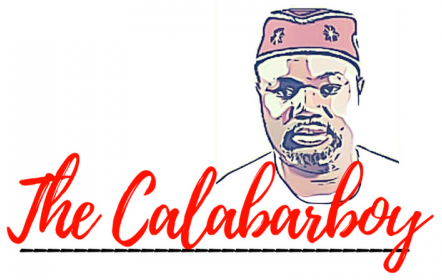 MY MIND MY MOUTH – Thoughts of a Calabarboy. It is interesting how powerful the mind is. What’s more interesting is that the mind is not like the face. The face expresses itself publicly and people make immediate judgment about one just by looking at the face. But the real truth is that face is not where the real matter lies. It is within the mind that lays the formation of ones’ true self. Within the mind resides the initiation of decisions, actions, and emotions, and it’s the constant encore of actions past and present. For those of us who enjoy the gift of a creative mind, we notice that with it come the troubles of a bubbly and ever busy imagination. Your thoughts travel far and wide, create images that are yet to be from images of things seen already, and even cause you to live in the reality of the unreal with the attendant satisfaction derived from the former. The more creative you are, the more troublesome your mind becomes. Sometime ago I watched the stories of some serious offenders who were apprehended and interrogated. One common feature they all possessed was a powerful and creative mind. In the case of a guy who was a serial killer, he skillfully attended to his evil craft and avoided being caught for 30 years, with 10 murders in his trail. He wrote letters to the police and often left mysterious clues for them to solve and still no one could unravel his identity. His mind was obviously being fully engaged in his imagination that, up to the point of being caught, he was still actively enjoying the whole process of being traced for 30 years. Several others as well are undeniably very intelligent men who simply fell for the overpowering of their minds and let it totally out of control. No one is exactly immune from an out of control mind. The fact is that most of the crazies we have all committed are direct penalties of a mind that lost it. The psychiatrists say that everyone experiences a period of madness every day, and those may well be times when we allowed our minds to be the dictator and indeed the outputs are sometimes irrevocable consequences. So we are constantly faced with the duty of bringing our minds under control and of course you will find various ways through which people are counseled to do so. However, I have found one tool to be quite powerful when trying to engage the mind in a battle of authority; the mouth. I am coming around to be a believer that God really gave us the mouth not just to eat, praise Him, or converse, but also to speak to our minds and bring it in subjection to what is right. Meditation has always been a time honoured way to bring peace into the mind and direct its way. However, I now understand meditation in a new light, and this has empowered me further to bring my mind under control. Checking through the etymology of the word ‘meditation’, I found that a Hebrew word for it is “aiyach”, which means to mutter under ones breath. This tells that meditation is beyond critical thinking in the mind, it is actually the deep and discreet outward conversation you have with yourself in your quiet place. This brings a new dimension of the mouth being involved in the meditative process, and not just a quiet inner discussion. So now I mostly speak audibly and authoritatively to my mind under the quiet of my breath. It is rare that your mouth will be speaking and your mind is at the same time doing its own thing. Usually when the mouth speaks, the mind cooperates at the time to enable the coordination of your speech. At the time you speak, you see that your mind is under the will of the mouth. This therefore is a powerful tool to use for all who need to bring their minds under due regulation. When your mind goes astray, your mutter to it what it must do and it obeys. Some may think you mad when they see you speak softly, but little will they know that you have actually just prevent an act of real madness from occurring. So your mouth is your weapon against your mind.